TransGrid forms the backbone of the NSW (New South Wales) electricity grid with 91 substations and 175 transformers and is one of the largest electricity transmission companies in Australia. Recognised throughout the world for leading practices and innovative solutions. Its entire network stretches from Queensland to Victoria, and then west to Broken Hill, connecting communities and businesses alike. Over three million homes and businesses depend on the electricity infrastructure that TransGrid builds, operates and maintains. TransGrid’s high capacity transmission lines transport bulk supplies of power to cities and major regional areas, often located hundreds of kilometres from generators. The electricity is then transferred to electricity distributors like Integral Energy, EnergyAustralia and Country Energy who in turn deliver electricity to residential and commercial customers. A NSW Government owned corporation, TransGrid has a long history in the power industry. Originally of the Electricity Commission of NSW then as part of Pacific Power, TransGrid has played a key role in transitioning Australia into the National Electricity Market (NEM) during the mid 1990s. The NEM grid connects five states and stretches for more than 5000km across Australia’s eastern seaboard, from Port Douglas in Queensland to Port Lincoln in South Australia. “TransGrid owns and manages one of the largest high voltage electricity transmission networks in Australia, connecting generators, distributors and major end users in NSW and the ACT,” says Peter McIntyre, Managing Director of TransGrid. Mr McIntyre was appointed to the position by TransGrid’s Board of Directors in April 2010 as he brings over 25 years of experience with TransGrid, its predecessors, and the industry itself. With such a far reaching and often remote network, its imperative TransGrid’s 1,000 employees are based in regional areas in and around NSW. Many staff work at both TransGrid’s Sydney Head Office and Surry Hills Office, however they also have several strong regional offices in Eastern Creek, Yass, Orange, Wagga Wagga, Tamworth and Newcastle. With its office based and field staff all over the state, McIntyre is striving to improve communications with the public and the employees of TransGrid through social media and internal communications. One of the tools he will be using to communicate directly with employees is the newly developed and region specific intranet site “The Wire”. He also participates in regular graduate and company wide forums using online tools like Yammer. Here, McIntyre updates employees directly with any TransGrid related news and listens to his staff’s feedback as they share their thoughts organisational policies and industry issues. This creates a corporate culture of inclusion, along with internal polling of high employee satisfaction and a very low turnover rate – it would seem that TransGrid is one of Australia’s best employers. With a “combination of performance and strong competences – we maintain and build our core skills: planning, design, operations and maintenance – all in house,” are some of the things that TransGrid has built as a guiding philosophy of excellence. It is not just connecting buildings, it’s connecting people. “We have 358 connection points on our grid, 63 generators feed into our network and 13 customers are directly connected,” says McIntyre. “Quite a few of our customers are looking at new locations for generators,” which means of course, TransGrid is looking at expanding its network to keep up with the demand. With all these connection points and power inputs, one of the major obstacles that TransGrid faces is the ageing components that make up the transmission grid that McIntyre says is in need of an upgrade. 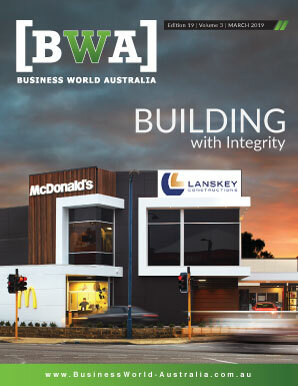 “One challenge is delivering our biggest ever capital works program. One of the trends currently is the major requirement to replace much of the capital infrastructure that was developed in the 1960’s and 70’s. Much of this equipment is coming to the end of their useful economic and serviceable lives, so we must rebuild and replace those assets,” he says. 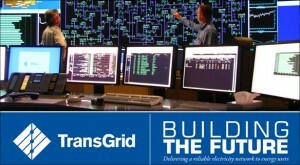 2011 promises to be a key year for TransGrid. Forecasts made in 2009 indicate that energy consumption will continue to grow by around 4 per cent, and ageing infrastructure is just one of the challenges TransGrid faces, but with over 88 projects on the books they seem to have the future of NSW’s power grid well in hand. Mr McIntyre points out that this demand has been at least partially due to the growth of the Australian economy and industry in the last few years. TransGrid connects to a large amount of renewable energy sources in NSW, including over 4,000 megawatts of hydro and wind generation. There are six projects in the pipeline in 2012 to potentially connect another 1,800 megawatts of energy to the NSW grid, including new gas and wind generation. As for the technology of the downstream side, McIntyre says they need to find a way to manage power usage for peak times. One of the solutions that TransGrid is very excited about is their development of Smart Grids. With several partners including IBM Australia, TransGrid has moved forward in collaborations with electricity distributor EnergyAustralia to develop efficient Smart Grid technology. In October 2010, the Federal Government signed off on a three year agreement with EnergyAustralia to test smart grid technologies in up to 50,000 NSW households. As part of the “Smart Grid Smart City” Project, EnergyAustralia will install smart meters in the Hunter Valley and Sydney. This will allow residential customers to track their energy usage and modify their power consumption during peak energy periods. With this initiative, TransGrid will be assisting EnergyAustralia in providing live measurements and forecasting to increase the power grid’s capacity during peak times. This data and methodology will be essential for the wider roll out of smart grids in the future. This Smart Grid may be saving Australians money, but it is also alleviating some of NSW’s carbon footprint. So in this case saving money is both economical and green. Part of the project included the National River Recovery program, and specifically the Boorowa River Recovery, which as McIntyre points out, were both selected as National finalists in two categories for the National Banksia Awards for 2009. The Boorowa River project was also a finalist in the 2010 United Nations Association of Australia (UNAA) World Environment Day awards. Asking him if he is proud of these achievements, McIntyre’s response is a resounding affirmative. Under its environmental efforts, says McIntyre is a more ambitious plan. TransGrid is examining exactly how it can “reduce our environmental footprint; we are looking at becoming completely carbon neutral by 2015,” says McIntyre. TransGrid, although a corporation, is a Crown asset. This means that the stakeholders in the success of the company are every single tax payer. Reducing the costs of distribution networks, and maximising return on investment, means that when TransGrid makes savings the customer makes savings. “TransGrid recently implemented a demand management solution for the Newcastle, Sydney and Wollongong areas during the summer of 2008/09 – the largest of its type ever delivered in the National Electricity Market,” says McIntyre. “This demand side management solution provided network support from non-network sources, as part of the regulatory consultation process under the National Electricity Rules.” Throughout this process TransGrid and McIntyre made smart choices, “consequently, more than $14 million was returned to NSW customers by TransGrid on completion of the project,” he says. The next few years are going to be important for NSW and TransGrid; there is more building and infrastructure maintenance going on now than ever before. “Between 2010 and 2014, TransGrid will undertake more than 88 major projects across NSW to overcome network constraints, the majority of which are being driven by increases in peak demand. These projects are part of a $2.6 billion capital works program, our largest ever and more than double the 2004-09 program of $1.2 billion,” says McIntyre. Some of the new projects that TransGrid has been working on involve both technological advances and the expansion of the current power networks. On the technological side, TransGrid has implemented modular control buildings in its substations. Having these units has extended the capabilities and stability of the networks. “Monitoring control and equipment have shorter livers than the high voltage assets. 10-15 years versus 40-50 years,” says McIntyre. By having mobile units we can swap in and out large control components with no interruption in the power flow. Network stability and efficiency, have always been TransGrid’s core goals. With the completion of the Western 500 Project, which began in the 1980s, TransGrid has insured that the power will keep flowing in NSW. “The $330 million Western 500 project is the result of many years of detailed planning by TransGrid. The 500kV ring significantly strengthens the high voltage connections between the cities of Wollongong, Sydney and Newcastle with the major electricity generation regions in the Central Coast, Western coalfields and the Hunter Valley is a key project in addressing the future electricity needs of NSW,” reports Mr McIntyre. The many components of this project will make sure that Australia, and NSW particularly, will remain competitive in the market, and will continue to offer a high standard of living to its citizens. TransGrid seems well prepared to continue to deliver the energy that keeps homes, industry and commercial businesses humming. With an eye always on the future, Mr McIntyre and TransGrid have taken the long view approach, as a Crown Corporation they are in the unique position of being able to run profitably, but all returns are given back to their stakeholders in the form of a better operating power transmission system, cleaner energy, and a less costly infrastructure.